Laser engraved, hand dyed, distressed, oiled, stitched and finished in house. Custom engraving is available at no additional charge. 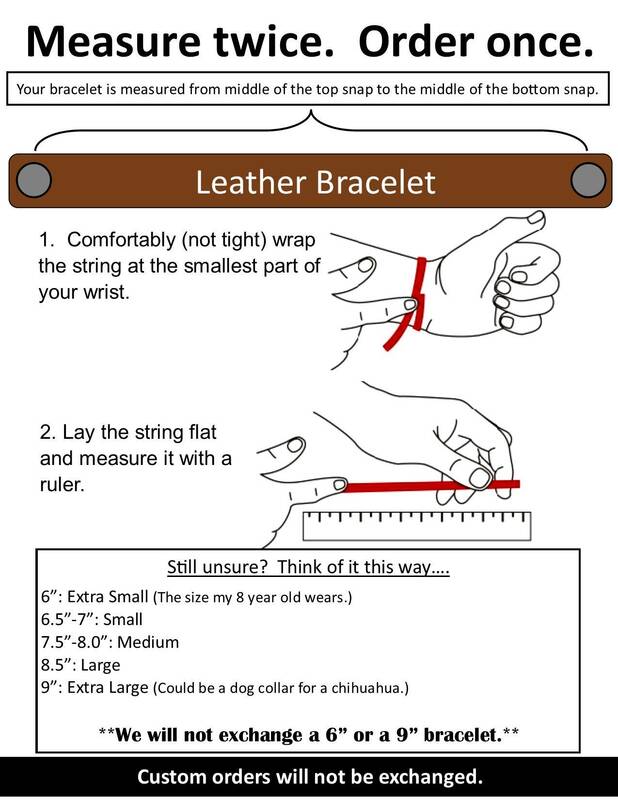 Made from premium 7 ounce single bend leather for superior quality compared to our competitors. 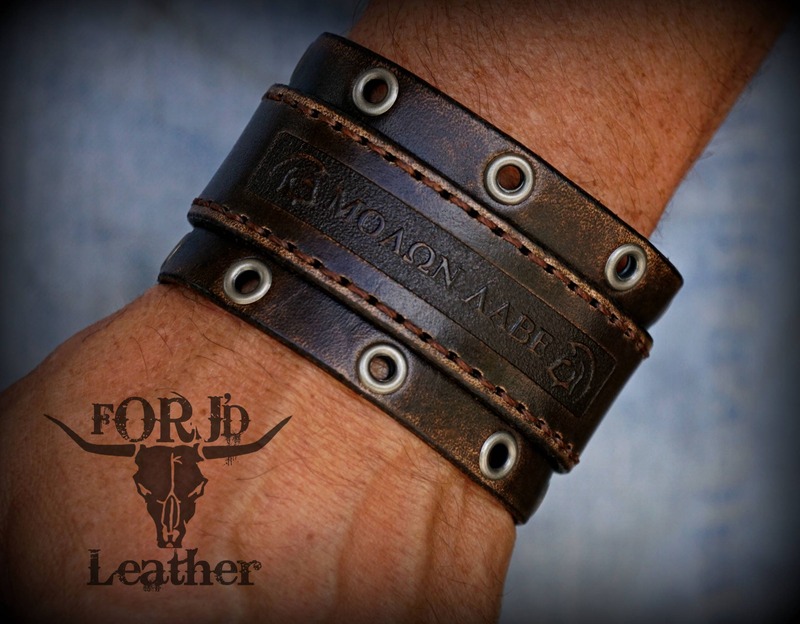 This cuff comes with recessed engraving of MOLON LABE and SPARTAN HELMETS unless otherwise requested.